Since 2006, Mr. V.K. 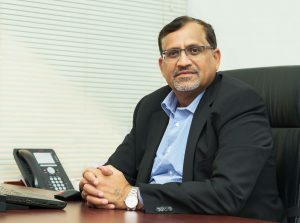 Madan (VKM), a New Zealand National and a Mechanical Engineer by profession, has led Robt Stone as Chairman & Managing Director. Through his visionary guidance and leadership, he has grown Robt Stone to one of the most successful EPC Companies in the Oil & Gas Industry in UAE. VKM has 36 years of rich experience in both Operating and Contracting with various industries such as Oil & Gas, Power and Petrochemical. With leadership qualities, that combine technical expertise, marketing savvy, and result oriented, VKM also possesses a micro level understanding of Works and its control. He has also been very instrumental in positioning Robt.Stone as one of the fastest growing Oil & Gas Construction sector companies in the UAE. Under VKM’s strong leadership Robt Stone has achieved consistent revenue growth year on year and today the company is blessed with a strong management team of highly qualified professionals, who continually supports the growth of the company. Prior to Robt Stone, VKM has worked for 8 years with GASCO, an ADNOC Group of companies in their major project division, responsible for the supervision of all major cross country pipelines. Before taking control at Robt Stone, VKM has worked for some reputed contractors, consultants and clients such as KTI; Punj Lloyd; Pan Arabian; McConnell Dowell; Parson, and GASCO in the UAE. A well-respected figure in the Industry, Mr. V.K. Madan has resided in the UAE for over 27 years and is familiar with all the local laws and requirements. Amit Kaura, qualified in Mechanical Engineering, has 30-years hands on experience in Oil & Gas and Infrastructure projects in the Middle East, Far East, Sri Lanka, and India. A consummate professional, Amit is a result driven, business oriented and a proactive management person. Amit has handled large value EPC Projects for Pipelines, Plant, LNG Terminals, Horizontal Directional Drilling and General Construction works. With best of Quality and Safety standard implementations in the tough and challenging Projects all across the Asian region, Amit attributes his success to the team he has nourished and worked with at all levels. Amit has worked with Multinational Contractors like Punj Lloyd as Executive Vice President and with Pan Arabian in UAE for various projects of leading international and regional Oil and Gas companies like, TOTAL/Technip Yemen; Shell/Petronas Indonesia; Qatar Petroleum; QSTEC (Middle East first Polysilicon Project); Waqood; New Doha AirPort; RLIC in Qatar; PDO/Occidental/Oman Gas Company in Oman; ADCO/GASCO/ADNOC/TAKREER/DOLPHIN/GS E&C/TECNIMONT/SNC Lavalin in UAE; Gas Authority of India Limited; Engineers India Limited; IOCL; ONGC; HHI, and GSPL in India. Throughout his career whilst dealing with a variety of organizations, Amit has been exposed to various business cultures and widely divergent professionals, which ensures his comfort level. Since joining Robt Stone, Amit has been at the forefront of the Oil & Gas industry and has facilitated the company’s expansion across various business verticals, especially in its core businesses. Amit has 17 years’ experience in the Middle East and has a vast professional network in the Oil and Gas sector in the region. Mr. Ubaidullah Shah leads the Administration team for Robt Stone [ME] LLC. He is one of the very Initial key employee of the Company and has been involved in the Company growth very closely from the start. He has more than 36 years of experience with various sectors in the Middle East. He has worked with various Government and Major Construction companies and has in-depth knowledge of dealing with all legal requirements in the region. Post Graduate in Public & Personnel Management with 24 years of experience in major construction companies like Essar, Dodsal, Punj Lloyd. Worked at a senior level in HR & Admin department since 2001. Have worked in Oman, Abu Dhabi, Dubai and Qatar since 2004. Carries strong administrative skills in establishing project setups, camps and managing the late scale of manpower. Having Advocacy skill for manpower and handling vendor, supplier for major projects. 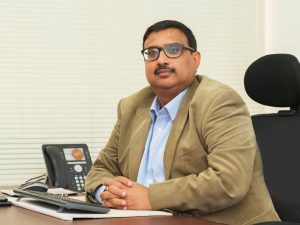 Mr. Ramesh Maddala is an experienced QA/QC Engineer and has more than 18 Years of experience in QA/QC, QMS, ISO Internal Auditing, Project Management and Site Construction in the Oil and Gas Pipeline industries in India and UAE.